The newest housing development geared towards students and young professionals on the University of Minnesota campus is almost ready for tenants to begin moving in. 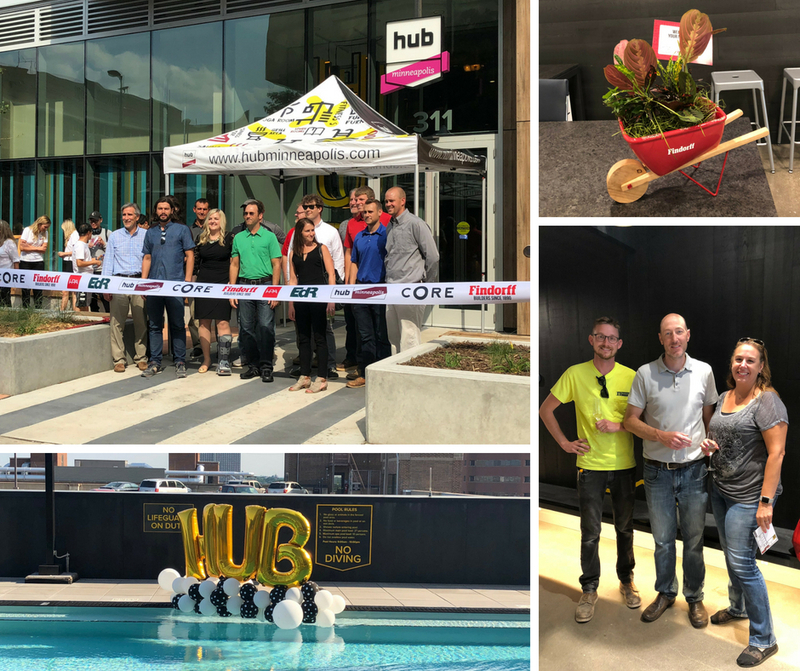 The project team for The Hub on Campus Minneapolis, a high-rise residential tower adjacent to Moose Tower, celebrated the completion of construction with a grand opening event complete with a ribbon-cutting ceremony on Wednesday, August 15, 2018. The tower is comprised of approximately 430,000 square feet across 26-stories with 407 units. The 7th Floor features a 24-hour gym complete with a yoga studio and sauna and an outdoor rooftop pool deck with extensive lounge space, outdoor televisions, and built-in barbecues. The apartments range in size from studios to four bedrooms. 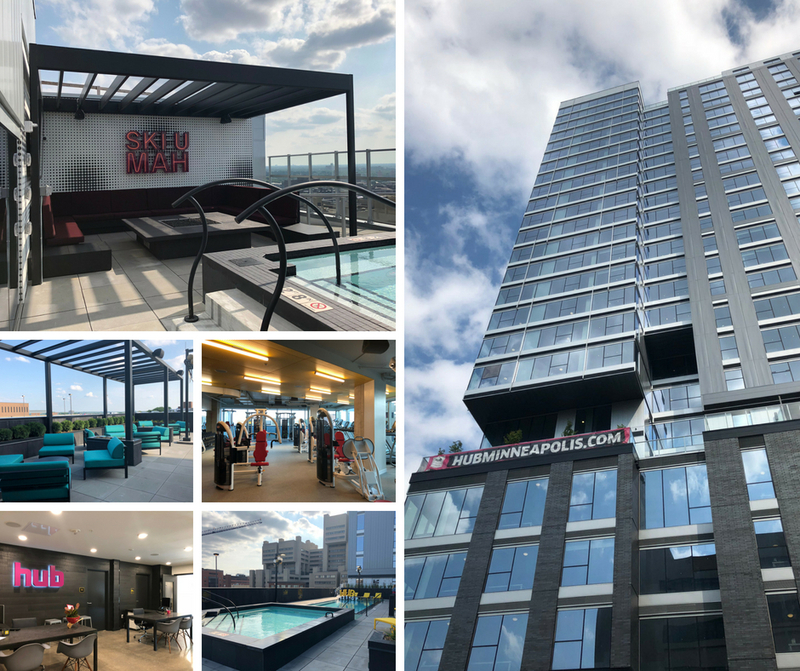 The penthouse apartments on the top three floors of the building also have access to a dedicated sky lounge area with an outdoor jacuzzi spa and patio with views of the downtown Minneapolis skyline. The building also features underground parking and has ground-floor retail space.